Sheila Donahue's staid life as a PhD translator struggling to make ends meet in New York is turned upside down when she meets billionaire investor Cruz Terranova, a brooding Spaniard with a dark secret. Her ordinarily uneventful existence transforms into a dizzy adventure of forbidden love and intrigue when Manhattan Irish cool collides with Spanish passion. 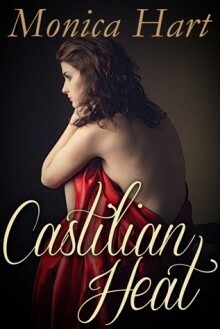 Castilian Heat is a lusty international romp that fans of 50 Shades of Gray, Bella Andre and Barbara Freethy are sure to enjoy.